If your life is anything like mine, you could use some simplification. 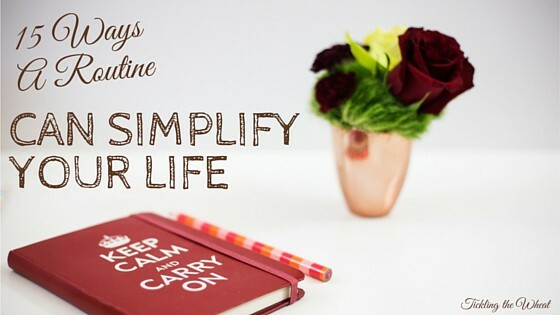 Every year I promise myself that I’m going to set goals to simplify my life. Even if my goals change as my life changes, one thing seems to stay the same: there’s never enough time in the day to accomplish everything on my list. I’ve always struggled with time management, but tardiness aside, any of these tactics will help to simplify and streamline your busy life. At the end of the day, busyness doesn’t equal happiness, so simplify your life however you can. After trying to coordinate schedules and rely on my quickly fading memory, I finally broke down and bought a paper planner. Whether you use digital calendars or paper to track your schedule, keeping track of your appointments in one central location will make life so much easier. Once you’ve listed all your appointments and “to-dos,” make sure that you’re actually using your planner. Put it in a central location (I keep mine in the kitchen by our charging station) and refer to it throughout the day. When I was working outside the home, I frequently used time blocks to plan my day. I scheduled reminders in my calendar and followed my time blocks religiously. Every morning, I would catch up on emails from 7-7:30, then start auditing until 8:30, then proofread until 12, etc. I always knew exactly what needed to be done and I was able to focus on each task for a designated amount of time. Sure, fires would occasionally crop up, but I could handle them and go back to what needed to be done. Having designated blocks of time also reduced the amount of time I spent trying to remember what I had been doing before the interruption. Because I minimized outside distractions, I was much more efficient. Once I became a stay-at-home mom, I stopped using time blocks to plan my day. 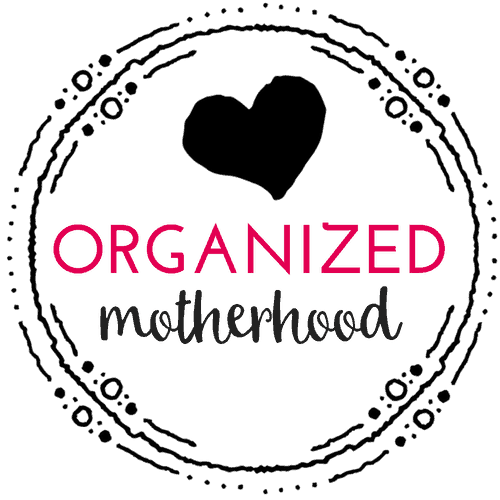 I felt so disorganized and just couldn’t “get it together.” Since going back to the time block method of planning my day, I’ve been so much more productive. I printed out an hourly schedule, and I write my activities down each day. For example, on Thursday I’m going to have a mommy morning from 9:30-12, then get my hair cut at 12:30, then from 3-5 I blocked out time to take my son for his allergy shot. By marking out the time on my daily planner, I can easily see what needs to be done and I won’t be able to overbook myself. Make your routine fit your life, but make a routine. What are the most important things that you need to do every morning? Every night? 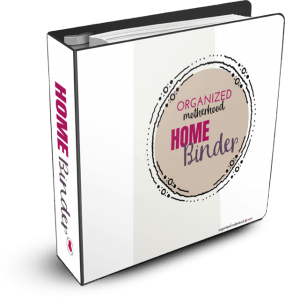 What aren’t you doing that would help you be more organized? For example, I have a horrible time getting my son dressed and out the door in the morning. By laying out his clothes for the entire week, he gets to choose his own outfit each day and I don’t have to nag him to get dressed in something that he doesn’t want to wear. It’s so much easier to maintain your home if you follow a schedule. I have a weekly cleaning schedule laminated in my planner. I always know what needs to be done and it’s one less thing to think about. I typically do my weekly cleaning on Thursdays so that my house is clean for the weekend and then spot clean and do a quick declutter every day to maintain my home. Some days are better than others (right now my kitchen floor is covered in tortilla chips), but I don’t feel like I’m always cleaning. Nothing is more depressing than having random, overflowing baskets of laundry (even clean laundry) scattered around the house. By doing one batch of laundry from start to finish every day, you’ll not only streamline your life, but your house will thank you. One of my goals is to wake up earlier and start my day before the kids get up. I’ve done Crystal Paine’s Make Over Your Mornings course already (and I recently did her Make Over Your Evenings course because let’s face it, a good day starts by preparing the night before). Studies show that the most productive time of day is about an hour after people wake. I plan on using this time wisely! If you know that you need to be somewhere by 9:00, it takes you 15 minutes to drive there, 5 minutes to load the car, 30 minutes to get ready, and 20 minutes to eat breakfast, you’ll need to start getting ready by 7:50. Make sure to leave some wiggle room, too (that’s where I always go wrong). It’s hard to plan for a train, spilled juice, etc., but it always seems to happen when you’re in the biggest rush. The catch is to leave “just enough” wiggle room and use it appropriately. This goes hand in hand with waking up earlier, but if you plan to be remotely productive, it’s important to get enough sleep. While this looks different for everyone, “enough sleep” is usually 7-9 hours of sleep every night. My daily calendar stops at 10:00 p.m., and I have “GO TO BED” written in big, bold letters. Lists make life easy. It takes the guessing game out of life. I probably take my list writing to the next level, but I’ve realized that if I don’t write something down it won’t get done. I keep the menus that I use for baptisms, birthday parties, and holidays. Then, the next time I need to throw a party, I simply pull out the previous menu, including who brought which dishes to pass, and my latest menu is planned! I also save lists of presents that people gave for showers, my wedding, and birthday/Christmas presents to use as a guide for my own gift-giving purposes. For example, my son loved the farm that my sister-in-law gave him for Christmas when he was a baby. I found a similar present for my nephew when he was the same age! I hate it when the kids are hungry and I realize that we have nothing thawed out for dinner. Create a list of your family’s favorite dishes and then refer to that list before you go grocery shopping. Plan your weekly meals at the same time you plan your grocery list, and you’ll take the guesswork out of dinner! In addition to my paper planner, I also have a family iCloud account. I have all the birthdays of close family and friends listed on the calendar, and the day before the birthday a notification pops up. I also schedule important appointments that both my husband and I need to attend in this calendar. We both see these notifications, so we’re always on the same page. I used my email account’s reminder function when I worked outside the home (I even scheduled a reminder when I was nursing so that I would take the time to pump). I now use my phone’s reminder function to remind myself of upcoming appointments that I scheduled months in advance or recurring events like birthdays. Raising a family can get crazy. No matter how much your family needs you, you’ll quickly burn out if you don’t take some time (even a few minutes a day) for yourself. Read a book, relax, or exercise, but do something to refresh your mind. Another thing to do during your quiet time is to count your blessings! Having a grateful attitude (or even a grateful moment) will uplift you in so many different ways. Try these four ways to be grateful. It’s great to set goals, but make sure that you set yourself up for success. Don’t try to run a marathon if you’re taking college classes, raising a family, have a full-time job, and have never run before in your life! Break your goals down into mini, achievable goals that you can work toward every week or month. 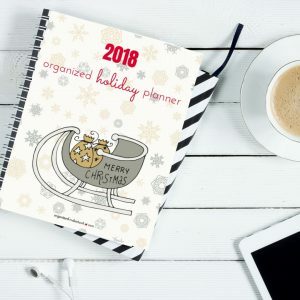 Creating a routine and buying a planner with the hope of simplifying your life is a great first step. 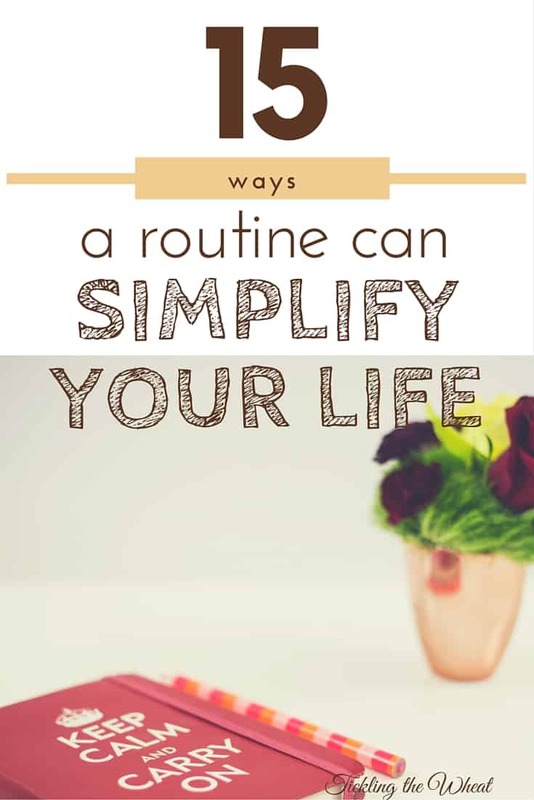 It’s important to know how a routine can simplify your life, though. I use routines and lists for all of my day-to-day activities, and while it may seem life overkill at times, I sometimes feel like it’s the only thing keeping me sane. On the days that I don’t follow a routine, I feel “off” all day! By knowing your day’s plan and following it, you will be a million times more productive.